A lapel pin is an excellent visual to promote any organization. When members of the group wear them they create a talking point, as people want to know what the badge stands for. 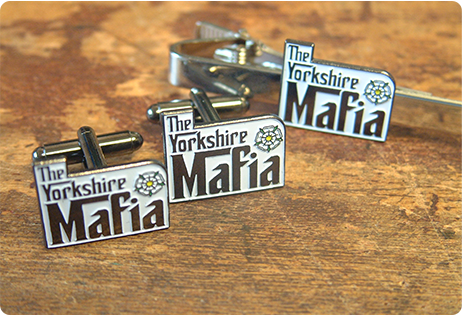 The Yorkshire Mafia is a business group on Linkedin, which holds regular business meetings, annual exhibitions and conferences in the Yorkshire region. They wanted to produce something that was discrete but also very visual, so that when Yorkshire Mafia members were out in the community, they could recognise each other. After careful consideration, the organiser decided to produce the Mafia lapel pins, but rather than give them away, they asked for a donation. The money raised was given to local Yorkshire charities so 2 objectives were achieved.